ADULTS LEARN TO PLAY CANADA'S GAME IN JUST 12 WEEKS - PROFESSIONAL COACHES - NO JUDGEMENT! Naomi Became A Hockey Player With Her Own Real Hockey Team! Now It's Your Turn! The program is for anyone 18 years and older, and is entirely co-ed. 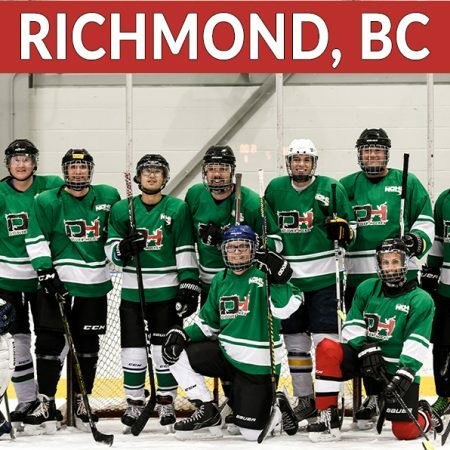 Discover Hockey started as a women’s-only program back in 2008, and became co-ed shortly after; all ages are welcome, we have had participants as young as 70. Sign up with your friends, larger groups save $50 per person by getting the Buddy Bonus! We know you love hockey and this is why you are here. Maybe you never had the chance to learn to play because your parents could not afford the time or the money it took, or maybe you lived somewhere where ice and hockey do not exist. Whatever the reason why you have been missing out, take the program and become a hockey player now. 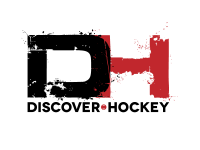 The program spans 12 weeks where we teach you how to become a hockey player. 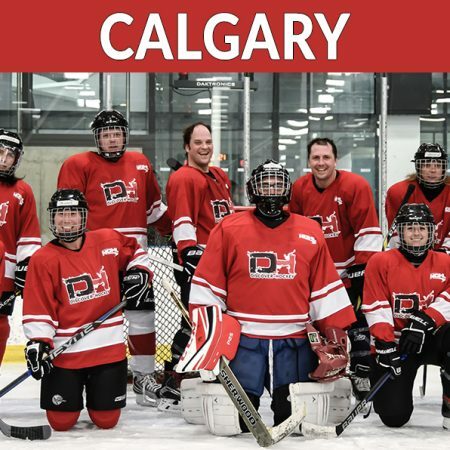 There are 12 on-ice sessions and 2 off-ice sessions, including an orientation where you learn about equipment, and a classroom session where you learn about icing, offside and other rules of the game. 8 on-ice informational practices are followed by 4 games against other program participants. You will learn the fundamentals of skating forward, backwards, stopping, turning and crossovers even if you have never skated before. Skating is the base for all hockey, so the first 2 sessions strictly concentrate on learning how to skate and the rest of the program reinforces good skating habits. Next you will learn all aspects of playing hockey. You will learn about saucer passes, snappers, wristers, and slap shots, and when to use each in a game. Once you have a good grasp of some of the individual skills needed for hockey, we will teach you how to play together as a team. Finally, you will play 4 games against the other players in the program. 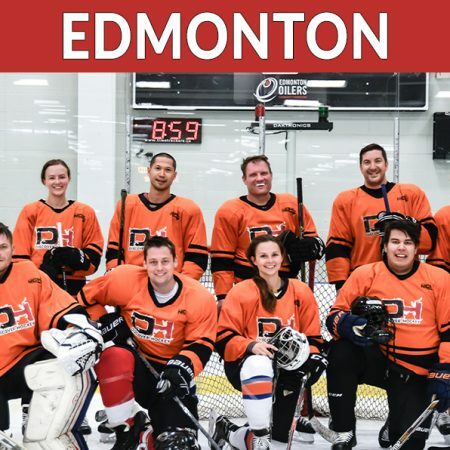 You will be on the same team as your friends, playing other new hockey players in a fun, safe and judgment-free environment where if you fall no one laughs, instead they help you up. Teams can continue playing in the NCHL beginner division for the next season. Please give us a call send us a message. We are always happy to talk hockey!